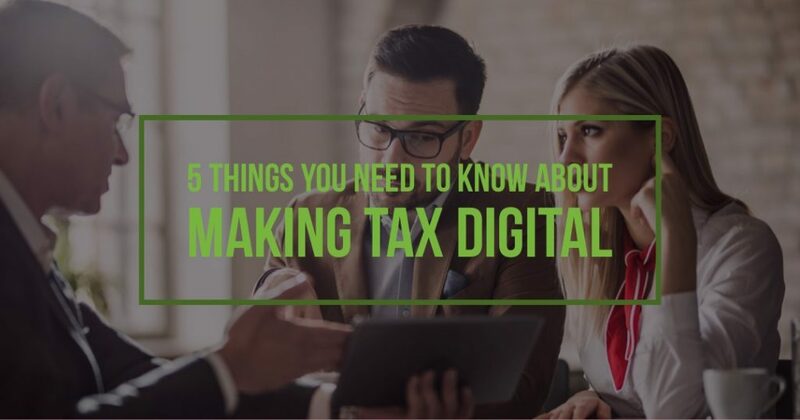 Making Tax Digital (MTD) is here to stay and ultimately aims to change the structure of most of the tax system. Change is never easy to implement but here are five useful things you need to know which will help you adapt and succeed under the new regime. MTD is now here – it started from April 1st. If your business is VAT registered and has a turnover of £85,000 or higher you need to comply. There were various rumours that the roll out would be delayed and even a debate in the House of Lords recommended a delay. This has not happened so if you fall under the legislation you need to act and adapt if you haven’t already done so. You need to take action to ensure that you are fully compliant for MTD from your first VAT period starting on or after April 1st, 2019 (except if you have a six month deferral). MTD requires all affected businesses to go digital. All your financial data will now be required to be stored on an approved accounting software package. If you are already doing this, the transition will be very straightforward. If you are keeping paper-based records, then you need to change. There are quite a few accountancy packages to choose from and cost varies. You will need to do some research to ensure the package that you select is right for your business. Carrington Accountancy can help you with this as we deal with a variety of accountancy software packages. Spreadsheets – can you still use them? Initially HMRC sought to discourage the use of spreadsheets to keep financial records. However, they have now accepted that many businesses would have extreme difficulty in changing this, so they have softened their stance. However, we attended a seminar in February where the representatives from HMRC said that spreadsheets should be a temporary measure – they want to see a full transition to accounting software in the future. Any spreadsheet being used will need to be able to connect to your digital account – if it doesn’t then you will not be able to submit under the MTD rules. You won’t pay more tax under MTD if you have been doing everything correctly so far. One of the main advantages is that any arithmetical errors will be eliminated using the accountancy software which should ensure no penalties being applied by HMRC should they choose to investigate your records in the future. For more advice and help about how to manage your transition to MTD call us on 0203 713 4530.